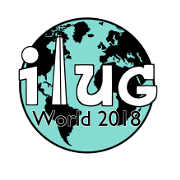 This feed provides the most recent 15 jobs posted on the IIUG Informix Job board. Looking for an Informix DBA for a contract in Downtown Dallas. Will be responsible for setting up, configuring, deploying and supporting Informix Databases throughout the enterprise. Will serve as the subject matter experience not only in strategic vision, design and development but also in current deployment practices. Preference is given to EU nationals and others permitted to work in the UK. We will only get approval to sponsor should we fail to find someone who already has the right to work and meets the criteria. My client is looking for a few (French/Dutch/English speaking)Informix 4GL Developer to work on a big government project in Belgium. Connect the Genero (converted informix 4GL) applications to new central components. It would be great if the consultant has experience in converting informix 4GL applications to Genero webapplications (proven experience) and experience in setting up of webservices in Genero (and potentially also in Java), interaction between Genero applications and non Genero applications ( via webservices). * At least 4 years of experience in software development life cycle. * At least 4 years of experience in translating functional/non-functional requirements to system requirements. * At least 2 years of experience in Design and architecture review. * Experience and understanding of in Production support and performance engineering. Address : 14111 Robert Paris CT Suite 105, Chantilly, VA 20151. * At least 4 years of experience with Information Technology. * At least 4 years of experience in Unix, 4GL language & Informix. * At least 3 years of experience in Project life cycle activities on development and maintenance projects. * At least 1 year of experience in Design and architecture review. Must be able to work in an established team. West&apos;s Informix Database team is looking for an experienced Senior Informix DBA. The core responsibilities include management of the Informix database as well as the maintenance and optimization and recovery of the database. * Knowledge of ER or HDR. * Learn and demonstrate Informix database administration/management, with special attention to the implementation of Informix. * Manage small- to medium-sized database projects with supervision, including partnering with developers and data modelers to create database structures for business applications across all life cycles as well as reviewing queries for performance. We are looking for Informix DBA&apos;s for Pune India Location. Please send us your resume. it&apos;s an Urgent Opening. This recruitment will be open until filled; the recruitment will be closed once two qualified candidates have been hired. The Seattle Municipal Court (SMC) is one of the highest volume Courts of Limited Jurisdiction in the State of Washington with 12 judicial officers and over 200 staff. It was established in accordance with State law and is the judicial branch of government for the City. The Court is authorized by the State of Washington and the Seattle Municipal Code to hear and decide both criminal and civil matters. SMC&apos;s Court Technology Division is searching for two strong Senior IT DBA/Developers/Engineers to work with a cross-functional team to deliver IT solutions. These two positions will contribute to the court&apos;s progress into the future by playing a key role in updating legacy systems. This transition will add highly complex integrated system(s) to current technology standards. The ideal candidates for these two position will have a track record of working with database schemas, data administration and troubleshooting performance issues. They will have experience using Informix. If you have a background in using Informix, this is an outstanding opportunity to bring your database skills to the court and support our Municipal Court Information System (MCIS). This system stores a large volume of information required for the Court to adjudicate misdemeanor and gross misdemeanor crimes, infractions and civil violations. SMC has plans for the replacement of MCIS and needs these positions to help support the existing system, participate on the project team for the MCIS replacement and provide future support after implementation. These two positions will report to the Court Information Technology Director. The Senior IT DBA Developer/Engineers are responsible for providing technical support for the database environment, including overseeing the development and organization of the databases, assessment and implementation of new technologies, and providing a long-term perspective on the relationship of database technology to the business opportunities facing SMC. The Senior IT DBA Developer/Engineers are challenged to work with architecture, application development and operations to help achieve an environment that meets current and future business objectives and strategies. * Responsible for creating, designing, developing and implementing logical and physical database schemas and tables. * Able to engineer the end-to-end vision and develop methods for translating the logical design into one or more physical databases. * Capable of documenting how data will flow through the development stages, ensuring adherence to design and development conventions, methodologies and standards. * Provide development and technical support through all project stages. * Able to evaluate system requirements and capabilities, making recommendations for improvements on existing servers to support growth and new applications. * Coordinate with appropriate staff and vendors to plan and execute fixes, upgrades and enhancements. * Lead design and development efforts and support any testing efforts. o	Creates backup strategies that support the business and provide appropriate recovery options with ONBAR. o	Constantly monitors work to ensure the highest level of quality. o	Reports all unauthorized incidents to management. o	In a senior position/role is able to interface with user groups, other IT divisions, City departments, agencies, and external vendors and contractors. * Bachelors Degree in Computer Science, Management of Information Systems, or related degree (or an equivalent combination of education, training and experience). * 5+ years experience using database tools (i.e. Informix, etc.) utilities and UNIX korn shell scripting. The successful candidate must have a proven track record in administering a large complex Informix database. * 3+ years experience using 4GL or similar language in a UNIX environment. * 3+ years in-depth experience with UNIX (AIX 6.2) system administration. * Able to demonstrate strong development/programming skills using IBM Informix 4GL. * 3+ years&apos; development/integration experience with enterprise applications such as; Peoplesoft, SAP, Cognos, Baan System, etc. * Ability to develop technical documentation for project deliverables and use by other IT professionals. * Ability to work as part of a team, flexible and creative thinker with a good big picture understanding of general development and IT issues. * Strong oral and written communication skills in order to convey technical information to non-technical users/staff. * Experience developing in .NET, Visual Studio and SQL Server environments. * Public sector/government IT organization experience. * Experience working in a judicial court highly valuable. * The full hourly compensation range for this classification is firm and listed above. * There are times this position will be required to be on-call, stand-by, work overtime and/or weekends. * All offers are contingent on the verification of credentials and other information required by the employment process. * Appointment is subject to passing a background check. * This position is covered by the International Brotherhood of Electrical Workers (IBEW), Local 77 union. As a condition of employment, an employee in this position will be required to pay an amount equivalent to the union dues within 30 days of hire. * New employees must successfully complete a 12-month probationary period prior to obtaining permanent status in this classification. * This is a Civil Service position with automatic enrollment into the City&apos;s Retirement Program; see the Benefits tab for more information. * For more information on the Seattle Municipal Court, visit www.seattle.gov/courts. For questions about these opportunities, please contact HR Recruiter, Crystal Yost at crystal.yost@seattle.gov. * Applicant must attach a cover letter and resume in addition to the application. * Application must be filled out in its entirety. Please do not write "see resume". * Applicant must complete the supplemental questions. * This recruitment is open until filled, once two qualified candidates have been hired, this recruitment will be closed. Company hiring: New Age Technologies. This is an immediate contract opening. Due to an increased demand in our client&apos;s reimbursement area, we have a client who are in immediate need of a Programmer Analysts. The Programmer Analysts will be creating HIPPA 837 Electronic Claim Formats using Informix 4GL for application development. This project will last 4 to 6 months and could be extended due to need. The work will be done onsite in Louisville, KY. This is a contract for our direct, local client. So we are looking to hire someone on a W2 basis to be our employee working on site with the client. Interested candidates please contact travis.arkon@newat.com. Join the SACO Team. Bring your database skills to support and enhance an Informix-4GL-based, ERP System. Develop/modify existing 4GL modules, database schemas, and Informix database procedures. Assist in the daily database administration activities such as troubleshooting performance issues, database changes and user management, and in the ongoing maintenance and troubleshooting of other production applications.